Today the high back version of my very successful design Sparkle for Pode has been released. Come and visit today or tomorrow at the launch event at The Wall in Utrecht. Today the new dining chair for Harvink has been launched at their house show. A versatile chair with two different frame options. A full line of sanitary products for Dutch brand Tortu ahs been launched. This Metropol collection was inspired on the mid century modern design movement from the fifties and is aimed at the high-end hotel and consumer market. We recently launched a new sofa for Pode. The basic idea of this sofa is that two stitch lines on the right en left side of the product define the whole design. Simple and elegant. Recently we launched a Kickstarter campaign to fund the renewed LiliLite. We managed to raise $75.391,- in 30 days in pre-orders. Visit the crowdfunding campaign page here. My work is in the Stedelijk Museum of Modern Art! We received an official thank you note for the donation from the director herself. We can only say... You're welcome! During the IMM in Köln our latest design was launched. A comfortable sofa that wears it's wooden or steel constructive structure on the outside. Upholstered double curved cushions are placed in this frame to finalize the design. We designed a very special storage unit for The Storytelling Watch Society. Watches that, by applying a tag, icon or text on the dial, refer to a major event in the wearers life. For example a birth, a retirement, graduation or death. The pebble shape of this stone resin unit represents something that is shaped by the flow of water/life. On this pebble the life time event is written out in a poem. The tags, icons and poems are custom made by an international pool of poets, writers, graphic designers and artist. A very special gift for a very special event. We recently developed a new lounge chair for Leolux. A compact, very comfortable chair which will fit in even the smallest urban appartment. Fabrics, stich and frame color can be customized to your liking. This way you can make very bold combinations or you can choose for a more conventional approach. 100% pure craftmanship, made in Holland. Recently we have moved our design studio to 4 new spaces in the same building on the Keizersgracht 174 in Amsterdam. After some renovation works we have had a grand opening last friday. Many joined us for some drinks. A propper upgrade if you ask us! Our LiliLite will be shown during the international Salone del Mobile 2013. It will be part of the exhibition "AROUND THE BOOK" at the Poldi Pezzoli Museum from 4-29 April. The Gispen Today chairs and dining table were featured in an episode of Tegenlicht, a Dutch documentary series. Scientist and philosopher Bas Haring researches the labour market of the future, where instead of earning money, happiness and freedom are becoming the primal goal. Watch the episode of Tegenlicht here. Studio Smeets has a solo exhibition at Inside Design, organised by Elle Decoration. Inside Design is a temporary design invasion in Amsterdam. A pop-up design route through IJburg connects temporary units, a stackable camping, mobile dressed windows, and many other locations. The Studio Smeets exhibition will be from 21 till 23 September at the Ben van Meerendonkstraat 317-6. The chair Thijs Smeets designed for Gispen Today got a recognition as Good Industrial Design at the Dutch Design Week in Eindhoven. 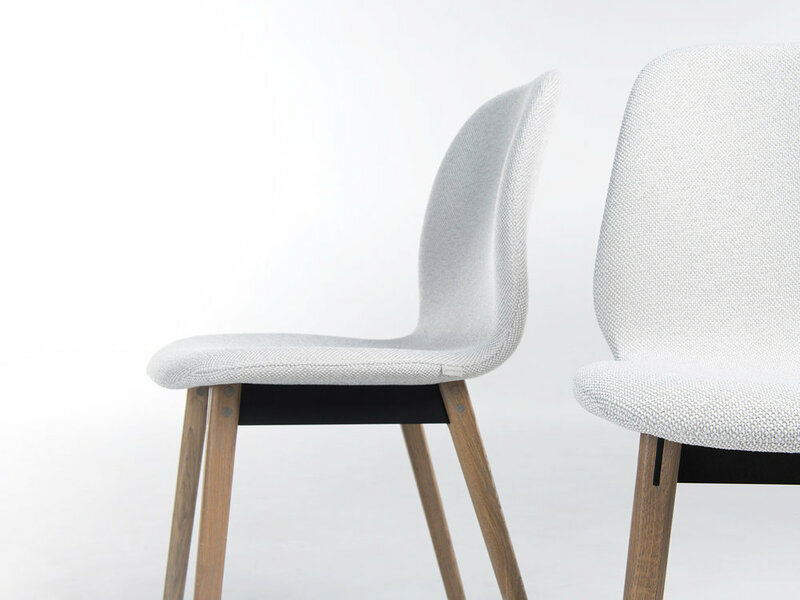 An independent jury picked our chair out of 90 other designs. During the Salone Del Mobile 2012 in Milan the collection Gispen Today designed by Thijs Smeets will be launched. You are all welcome on 19 April from 17.00 onwards in the lobby of the Nhow Hotel on Via Tortona 35 in Milan.